Chasing Dreams: Baseball and Becoming American, a wonderful exhibition highlighting the deep and historic connection between American Jews and America’s pastime, is a “don’t miss” for anyone visiting or passing through Philadelphia before October 26, 2014. On display at the National Museum of American Jewish History since March, the exhibit will tour museums nationwide after it closes its Philadelphia run. The first full scale exhibition of its kind, Chasing Dreams explores the early history of the game, including the role of Lipman Pike, an early Jewish home run king, and takes visitors up to the present day, with numerous features focusing on baseball’s growth and transformation over the past century, highlighting the contributions of Jewish players, owners, executives and broadcasters. The exhibition also demonstrates the important roles played by immigrants and minorities of many different backgrounds, emphasizing the significance of Jackie Robinson and other barrier-breakers, like Hank Aaron, Ichiro Suzuki, and Justine Siegal, the first woman to pitch Major League batting practice. 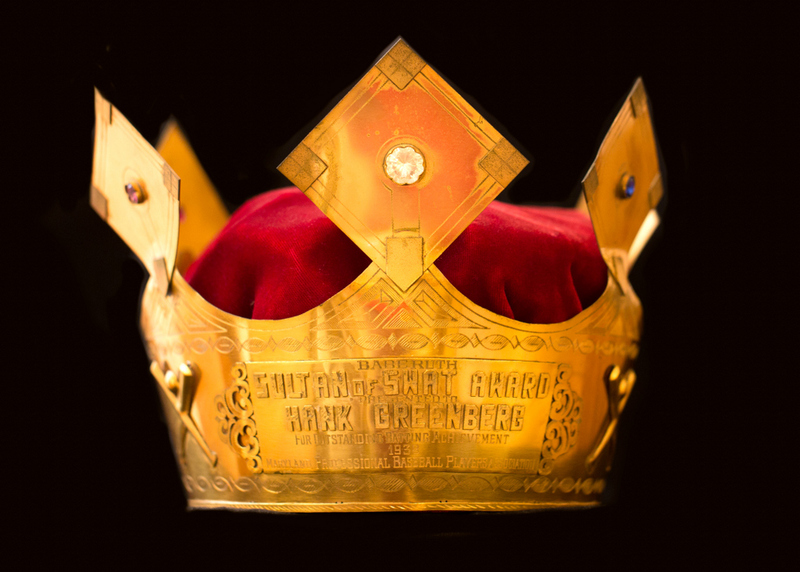 Chasing Dreams features over 100 original objects – many on loan from the Baseball Hall of Fame – including Hank Greenberg’s “Sultan of Swat” crown, game-worn uniforms, signed baseballs, correspondence and newspaper accounts, and even Jewish ritual objects. Not surprisingly, the exhibition devotes special attention to Greenberg and Sandy Koufax, but it also chronicles the role of many lesser-known Jewish players via a touchscreen database, a large scale illustrated timeline, and numerous items of memorabilia. Because of the interactive nature of the exhibit, it appeals to fans of all ages, and even to visitors who are not necessarily followers of the game.